Roger and Lynn Van Vreede are challenging you to make a gift to the museum during the year-end fund drive. The Van Vreede’s will match your gifts dollar-for-dollar up to a $20,000 total. Thank you, Roger and Lynn ! Make your gift today to double your impact. Students without a school art program use the museum and studio for art education. 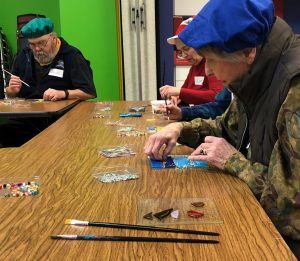 People with cognitive changes and their care partners make sun catchers at a Memory Cafe. 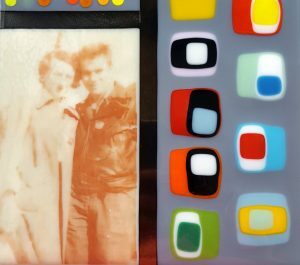 In a Photos in Glass studio class, photos of loved ones are incorporated in art. For many museum visitors this year, art helped them deal with difficult emotions, art communicated ideas beyond what words could, and art enriched education beyond an in-class lesson. The museum staff accomplished this because generous people like you believe in the work we do. As you know, Bergstrom-Mahler Museum of Glass is more than a place to hold pretty things. It is entertainment for your out-of-town guests, a destination for paperweight collectors, a place to learn about glass, a venue for the exploration of your own creativity. It’s where you can simply relax and enjoy the beauty surrounding you. Because of the generosity of our founders and past donors, everyone receives free general admission. It’s been that way since 1959. Join our wonderful group of donors and make a gift to the museum today. Help bring inspiration to others and make a gift today. For donations of art, please contact Jan Mirenda Smith, museum executive director, at 920.751.4658, x301. The Mabel R. McClanahan Memorial Study Gallery is a gift from long-time friends of the museum, Gary and Marge McClanahan, in memory of Gary’s mother, Mabel. Born and raised near Doering, WI, Mabel R. McClanahan (1918-2012) moved to Appleton in 1946 to work as bookkeeper for Herbert Crane. After 40 years with Crane Engineering Sales, Inc., she retired as Vice President and Chief Financial Officer of the multi-million dollar company. Mabel was also an extremely active community and civic leader, championing small business development, women’s advocacy and education throughout the state and nation. Among the many organizations she served were Goodwill Industries of Northeast Wisconsin (Director), Fox Cities Chamber of Commerce and Industry (Director), and the Appleton Area Board of Education (President). 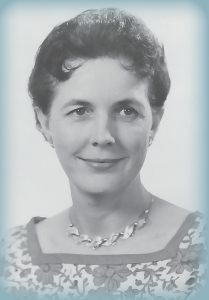 In the 1950s, Mabel joined the local chapter of the National Federation of Business and Professional Women. She became a leader of the organization, advancing through the Wisconsin and national offices to become the National President for 1967-1968, when the organization had more than 170,000 members. In this position, she led a major effort to enact legislation that would ensure equal opportunities and equal pay for both men and women. After she retired, Mabel refocused her energies and partnered with her son Gary in his business as a paperweight dealer. A paperweight enthusiast herself, Mabel was active in the Paperweight Collector’s Association, a national organization. 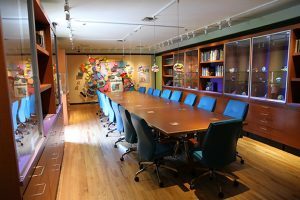 It is because of Mabel’s great interest in paperweights and her commitment to education that this study gallery was named in her honor – to continue the pursuit of knowledge in glass and art, and to make the art of the paperweight more accessible to the public. 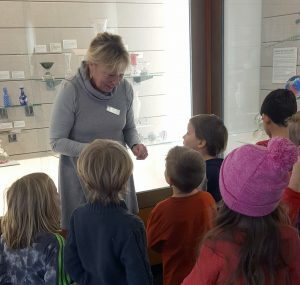 If you would like to discuss what your legacy with Bergstrom-Mahler Museum of Glass could be, please contact Ben Fauske, Business Director at 920.751.4658, ext. 311. As an expression of confidence in our mission, friends of the Bergstrom-Mahler Museum of Glass have pledged to partner with us to make our vision of being a place for exciting discoveries in glass a reality. In an effort to provide assistance on how you can include our non profit organization in a bequest, examples of language to place in your will or trust are suggested below. Your attorney can tailor these statements to fit your specific situation. “I give and bequeath____% of my estate (or of my trust) (or a specific dollar amount) to the Bergstrom-Mahler Museum Inc., Neenah, WI.” The donor will state the restricted purpose of how the bequest should be used. In order to demonstrate our stewardship of bequests, the staff and board of directors have set forth the following provisions for directing unrestricted gifts. These provisions ensure that gifts will be applied to the greatest need of Bergstrom-Mahler Museum of Glass to best serve the mission and vision of the organization and the donor’s legacy. Gifts of $1 to $25,000 will be directed for the staff’s discretionary use. Recent examples include building improvements, collection digitization and object acquisition. For all unrestricted gifts of above $25,000, 20% will be directed toward the endowment fund, thereby supporting the sustainability of Bergstrom-Mahler Museum of Glass. This percentage will be reviewed every five years by staff and board. The remaining percentage will be used to support strategic initiatives. The staff will make recommendations to be approved by the Executive Committee. To recognize the commitment of making a planned gift, each donor will be recognized at Bergstrom-Mahler Museum of Glass.